IBM MobileFirst for iOS Hospital RN gives nurses a central view of patient and team information. Notifications and current patients are instantly accessible from a home landing page, while individual patient records display upon room entry. 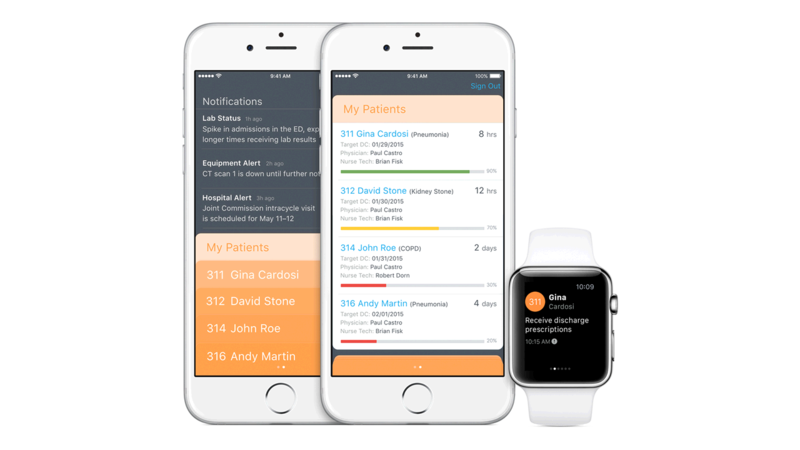 Nurses can see, edit and send updated tasks, notifications and messages to their entire care team, view urgent alerts and get facility information from iPhone, iPad or Apple Watch. A daily agenda linked to patient data and care plan task workflows makes it easy for nurses to manage staff and other assignments as well as patient needs. Enter a patient room and the Patient Card pulls up for your immediate entry without having to hunt for the right part of a chart. Besides standard vitals, meds and diagnostics, team contacts, clinical status and even historical data provide a complete view of your patient. Get and send real-time alerts and notifications, drill down to view more information, send orders and delegate tasks from almost anywhere.